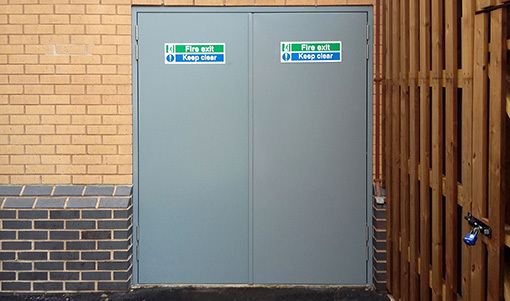 The TSD Fire Rated Door is a specialist range of personnel and fire exit doors certified to withstand fire for a minimum of 4 hours. All Fire Rated Doors are custom made with long standing construction and rapid turnaround guaranteed. Single, leaf and a half and double Fire Rated Doors are available with a wide choice of options and extras.